William Samuel was a spiritual teacher and friend to many. This blog has been created so that Bill’s students and friends can find each other and keep in touch. Also, a few articles about the teachings of William Samuel will be posted here from time to time. Please keep in mind that anything you post here will be available for everyone to see. Also, all comments are moderated. This is not a blog to promote your website or business. No email addresses or contact information you leave will ever be used for any sort of commercial purpose. But keep in mind that there are little spam robots trolling the internet every day for email addresses. My suggestion is to write your email address without an @ sign but just put in the word “AT” in that position. That may help you avoid those little nefarious spam bots. If you have ideas or suggestions for this blog please feel free to let me know. I will respond as time allows. If you have articles, photos, letters or emails from Bill that you would like to share with the world please head over to www.williamsamuel.org for information on how to share them. I hope this is helpful for you all and that we are able to find each other and communicate, support one another and perpetuate the wonderful wisdom that Bill shared with us. I am but a humble seeker who has been walking the path to greater illumination for some time, reading many holy books and trying to let go of more and more. In my travels I have come across the booklet 2+2 = Reality, which I have found insightful indeed, but something I also find myself stuck. I agree with what is said in the book – various other religious texts also point the way towards its truth. I felt something when I read it as well. But I cannot seem to make that final step to really, REALLY believe. A few moments after reading any passage it seems like the ego and mind re-assert themselves and I am back here in the “me”. Can you offer any advice or suggestions that may be of assistance? Thanks. Besides Jon’s suggestions, I have found Sensory Awareness experiences helpful to bring the racing mind to quiet down in the here and now moment. Sensing warm sudsy dishwater is a favorite daily experience, which brings me to the immediate moment of Now. Most of us experience this daily activity, so why not receive the full benefit of the daily event? Be present to the sensations of textures, aromas, weight, movement, sounds, breath. Be kind to oneself and give up judging. The good news is that each moment is new. Friends of William Samuel and newcomers to this site, these early Talks contain Bill’s basic teachings, which require repetition in order to experience the changes in mentation, which he so uniquely provides. http://www.meditativewriting.com is designed to assist you in sharing with others your offerings from your own meditative writing practice. ‘ Friends of William Samuel’ is simply just this, so we welcome you to participate. Besides this offering of ‘William Samuel 101,’ you have access to most all of Bill’s other audios and pdf.s created for his many students – now made available through the committed efforts of Sandy Jones, Rose Burrows and Rich Hay. Yes, the Child Within Us Lives! when The Awareness of Self-Discovery becomes one’s own experience. Blessings…………..
What is it, and how does it assist perception of the Real. Then, what do you notice, which keeps you faithful to various regular reminders of Identity being lived daily in this world. “Calling things (scenes) by their right names,” is an expression coined by William Samuel. In simple words, Bill encourages us to ‘show up’ with our own experience of discovering, then naming the scene with either the positive noun or adjective which best describes what’s going on. The word for the scene I experienced this morning in a group setting for Valentine’s breakfast, was of course Love. One ninety year old couple experienced the full impact of what’s called human love, as well as Divine Love. Please visit the page, A Breath Round Nothing, at meditativewriting.com to discover my morning’s confirmation of Bill’s powerful, but Child-like suggestion for participating in Reality revealing Itself. All Love. I recommend listening to the 1979 talk in David Manner’s Montecito condo near Santa Barbara, which is presented as nine separate vignettes. Enjoy one minute of silence at the beginning of the second section continuing down the left column. After one becomes familiar with the progressive sections of this presentation, one can then easily select sections for more effectiveness in creating one’s own new overtones. This is a wildly effective talk for this practice, which Jon has prepared for us. A year and a half ago, I encouraged others to play around with the order of listening to Finding One’s Right Place. This weekend I’ve listened straight through to remind myself of the specific topics and stories covered for creating new overtones for oneself. The nine sections of Bill’s talk in David Manners first residence in the Santa Barbara area created a unique ambiance for Bill. The sections are longer than our other offering. This audience of metaphysicians was invited to ask questions. I suggest listening to this talk straight through for the first time, listing topics covered in each of the vignettes to use when selecting several for creating new overtones at another time. There are two sections which start one full minute into the recording, which provides an opportunity to deepen in the silence. William Samuel and David Manners became friends in Carmel, California when they met at Bill’s first Carmel Seminar in the famous Hofsas House. Sitting out under the trees in a circle in the cool of the evening, I became aware of David. We quickly became members of Bill’s family of friends. Bill and David both had books to be published. The Awareness of Self-Discovery was published in 1970. I share several paragraphs from Bill’s Introduction in David’s first edition of Look Through in 1971. “You are about to read a series of simple, well-written, honest statements by a man who has sought Truth all of his life, finally to find it . . . and to find it to be the very identity he is . . . the Light being He. He tells us of the discovery all of us must one day make . . .and will. As appearances go, there are many who write ‘about’ Truth . . . theorizing, dreaming, expostulating or attempting to convince others of this way or that, but there are few who write from the position of Truth Itself. David Manners does because he can. He speaks with authority. The appearance of humanity’s darkness is giving way to the recognition of ‘why’ such darkness appears in the first place: the means by which the Light of Truth is infinitely ‘delineated’ and ‘fully’ Self-known. Now a bright star of light appears as David Manners. His way of childlikeness, simplicity. humor, gentleness and love points a straight narrow pathway through the night sky. To where? To the very heart of Self-discovery, which, after all, is the “purpose” of life. So, read this book with intense lightness and light intentness. Then read it again. You are certain to find a measure of yourSelf within its simple profoundness. Jon has now made this process easy for listeners. Visit the Library and discover for yourself. Janice Winokur uses the phrase, the melody she learned at Woodsong, which one might hear in her writings about her experiences with Bill and Rachel Samuel in their bird and squirrel protected home in the hills of Alabama. At this Spring equinox season I’m reminded of how often Bill mentioned awareness including the Pliedes. These night skies during Spring equinox provide viewers in areas without moonlight magical experiences of post-sunset skies alight with the zodiacal cone. Enjoy! Good Morning, Sharn,…I’ve decided to post a sharing with you in this main blog stream until we readers begin to read the listings on the upper right side of this page, and actually open those listings. This weekend I’ll post my sharing about Rachel Jane Knight, and how she came into Bill’s life…fulfilling all that he’d shared with Tom Feltenstein in his response to Tom’s supportive question, “How can I help you, Bill, to get your work out? Bill’s hand written response to Tom is well worth sharing this amazing story when I have time to do it well. Meanwhile, be well. I used your term, metaphysical masochist, in a message this week, which opened the door to successful communication with a philosohy professor this week. Grand to hear the effect of MM, wonderful!! Have sent you a couple of emails in last few wks, did you receive them? If not could you email me at address below, did use yr yahoo address…..
Anyhoo grand to hear from you. David Gartrell is in charge of the UCSB Davidson Library’s Special Collections. The William Samuel Collection now on CDs, which Rachel Jane selected from Bill’s Early Talks mostly from reel recordings, are available. Contact gartrell@ucsb.library.edu if interested in purchasing CDs from their list. “A price can’t be put on Truth.” Bill’s spoken words are most reasonably priced. Request their list of titles…Listening to the variety of talks Jon has made available gives one an idea of the breadth and depth of these CD offerings. I’d be happy to briefly describe the content of listed titles not yet available in this on-line Library. And wait for the coming of the Lord. Every now and then a sports play at the last minute of a game turns all our predictions and assumptions upside down; in an instant, everything changes. Yesterday the quarterback for a major football team threw a touchdown pass in the last 5 seconds of a game that everyone thought was over. The opposing team had already begun to celebrate. Fans were lining up to go home, and TV sets had been turned off. But the quarterback who threw the pass was not thinking about going home, nor was the receiver. They were ready to play football. The pass that was thrown and caught in those last 5 seconds won the game. How often do I “go home” when a spiritual practice becomes difficult or inconvenient or even boring? Spiritual practice requires persistence and determination. I cannot shrink from what is hard or demanding if I want to make progress on the path. Practice requires perseverance in the face of struggle and suffering. And if my practice becomes stale or rote, am I willing to take the risk that will take me to a new level? Am I willing to stay on the cushion when my mind says, “Well, that’s enough for now”? My teacher tells me, “Choose one practice. Do it unflinchingly, unceasingly, unswervingly.” Can I do this? Can I stay the course? The football metaphor is clear. Like a wonderful surprise, the fruit falls into the hands of those who are ready. 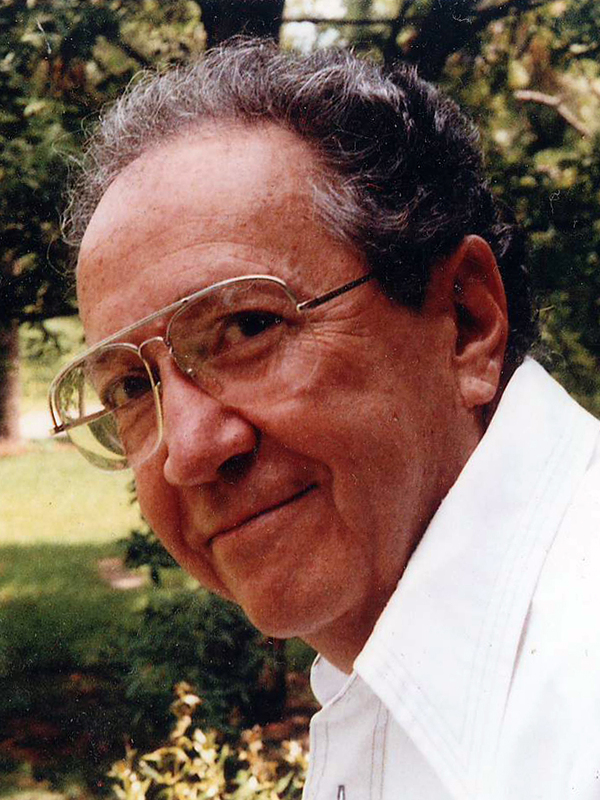 When I lived in Alabama in the late 1980s, I was blessed to meet and study with the late Willaim Samuel, author, philosopher, and metaphysician. Bill was an avid journal writer, and he urged me to engage in my own journey of Self discovery through journal writing. With just one exception, all the poems, vignettes and essays in this small book were written during this period, including those that refer to other places to which I was travelling at the time. I enjoyed so many wonderful visits with Bill and his wife Rachel at their home in Birmingham. I will always remember with heartfelt gratitutde the days of quiet joy I spent at their small rustic cottage, Woodsong, and the countless gifts of inspiration, guidance, and encouragement they gave to me so freely. Dear Reader, if anywhere you hear the humming of joy in these pages, please know that it is the melody I learned at Woodsong. Who’s making a scene in it? “Without the love and encouragement of dear friends, books large or small would not appear. Thus, I especially wish to thank William and Rachel Samuel, John Bailey, and many others united in the wonder of this conscious awareness we are.”. I’ve just posted a paragraph at the William Samuel site of http://www.meditativewriting.com – Mentation site. Bill Samuel wrote the Introduction to friend David Manners’ 88 page collection from his meditative writings published in 1987 by John Bailey of Non-Stop Books. Now out-of-print, I’ve just received an inter-library loan copy from the U. of Alabama. The last paragraph of the Introduction is so appropriate for today: Awakening from the Dream of Me describes part of David’s journey. It is one of those shouts of joy we are all one day destined to make. This book tells of the wonders of looking within and finding God’s child unfettered and free, still very much alive, untouched by the tribulations of time.